For the debut “From the Archives” post, we’re spotlighting an artist who has inspired countless others over the past century, including popular artists such as The White Stripes, Bob Dylan, Nirvana and Led Zeppelin. Lead Belly (Huddie William Ledbetter) is unarguably one of the greatest folk and blues musicians in American history, recognized for his distinct vocals and mastery of the 12-string guitar. His often-turbulent life is well documented, but today, he’s largely remembered for his prized contributions to the American music landscape. 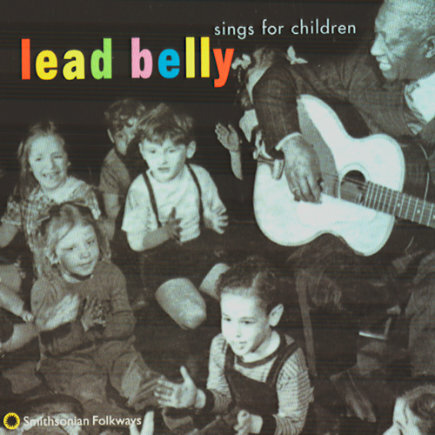 Among them, his children’s music recordings, packaged in a compilation CD by Smithsonian Folkways. Whether you’re a big blues fan looking for a suitable intro to this genre for your children or if you need a serious break from The Fresh Beat Band, share with your family this little-known treasure by an American icon.